The Days of Johann, an agility dog! 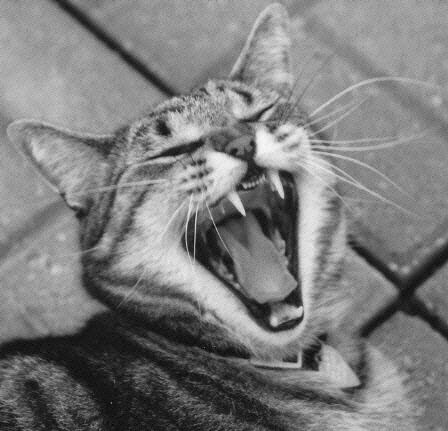 : Black and White Sunday: Wolfie Yawns! Black and White Sunday: Wolfie Yawns! This is my kittie bro, Wolfie, giving a good yawn! BOL! That is a GREAT photo! Happy B&W Sunday. Go Wolfie! Happy BW Sunday! I think I can see all the way to China! What big toofies you have for a kitty, Wolfie! We hope you have a wonderful Monday!